An ancient phrase says that a fish rots from the head down. The phrase is known in China as well as Europe in the middle ages. http://www.phrases.org.uk/meanings/fish-rot-from-the-head-down.html What is interesting about the consistency between the meanings for the phrase is the idea that the top determines the content. Therefore, if the leader is tyrannical, then the organisation will follow suit. In many ways, the great corporate scandals have reflected the problem of a fish rotting from the head. Enron was a case study in leadership gone nearly amok. http://en.wikipedia.org/wiki/Enron The Chairman (Ken Lay) unable or unwilling to intervene and see the problems for what they were. A Chief Operating Officer (Jeffrey Skilling) pursuing personal gains that became a criminal activity. A good business advice article applied this phrase to show how leaders set the tone within the company. http://www.smartbiz.com/article/articleview/228/2/3/. On the surface, this makes sense. If the leader is dour and demanding, the staff will be defensive and seek to avoid blame. If the leader is supportive and outgoing, the staff will show it. However, there are some issues to consider. First, such a theory assumes that the leader’s will is all determining. Many organisations thrive despite weakness, venality, or tyranny at the top. In all but a few cases, the leaders only are able to influence their immediate reports and a few others. Their own role is only part of the story. What we need to consider is something else. The second issue to consider is that for a leader to disrupt their organisation or create a toxic atmosphere, they need people to enable them. There has to be officers willing to comply with the tyrannical aims, the venality, or the toxicity for their own purposes. They may do this out of fear, or favour, or simply because they subscribe to the same views and approach. At the same time, though, there is a third area to consider, the organisational structure. What this illustrates is a problem endemic since ancient times. The desire to understand, and if possible overcome, the decline and fall of regimes. For the ancient philosophers, the question was to find a regime that would not decay or be destroyed from within and still be amenable to the good life. While Sparta survived for over 1000 years, its internal life was not conducive to philosophy. As such, the goal was to find and sustain a decent political order. To that end, the philosophers looked at the sources of corruption within a regime and why they decline. 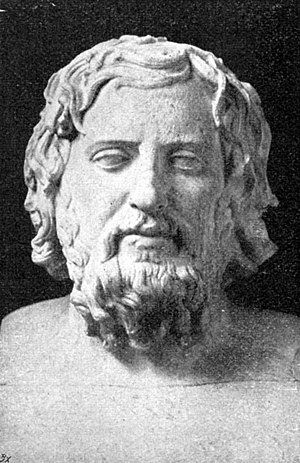 In particular, Xenophon looked at the example of Cyrus the Great. He came to power, changed Persian customs and after he died, his empire collapsed. (From Republic to Empire: Political Revolution and the Common Good in Xenophon’s Education of Cyrus, Nadon, Christopher American Political Science Review 1996, Vol 90; Number 2, pages 361-374.
http://www.jstor.org/pss/2082890) What was interesting within this example, is how Cyrus worked to change the institutions within the Country to achieve his ends. In that regard, the small changes became larger problems. To be sure, he was a dynamic leader casting great influence across the regime, and yet, he changed the institutions that would have resisted or at least curtailed the excesses of his vision. At the same time, the institutions and the people within the organisation matter as well. The leaders may set a tone, but it is the people and the institutions that slowly bend to their will or dismiss them. For example, the rise of a blame culture or a blame avoidance culture is only partial directed from the top. Senior managers as well as middle managers have a choice as to whether to work that way or to encourage it. In many ways, the blame avoidance culture can be a sign of emergent toxicity. Here is a good description of the issue by Christopher Hood but related to a different issue of transparency and blame avoidance. One way to look at this is to consider the amount of policies and procedures that you have to follow at work. If your judgement, initiative, and instincts are constantly constrained then you may need to reconsider the corporate culture. For leaders, the same issue applies, but from a different direction. What are you trying to achieve by developing policies, procedures, and guidelines that create blind rule following? Are you encouraging your middle managers to develop policies and procedures where common sense and judgement are better suited? If common sense and judgement cannot be allowed, what are you telling staff? Will that encourage staff to speak up and resist the excesses that lead to toxicity, or will it encourage them to follow the rules and allow the toxicity to develop? While the rot may be most apparent at the top, the rest of the organisation is part of the process. In the end, the toxicity or “rot” of an organisation is from the inside out and not from the top down. The cure begins within and that is where managers must look. This entry was posted in change managment, learning organisation, local government, management and tagged Business, Enron, Government, Jeffrey Skilling, Kenneth Lay, Xenophon. Bookmark the permalink.